Terrorists fire rocket at Shaar Hanegev region, disturbing calm of the Sabbath. No injuries or damages. The calm of the Sabbath was disturbed in southern Israel on Friday night and replaced by the “Red Alert” siren which warns of a rocket attack in Gaza. The siren was heard at approximately 9:30 p.m. in the Shaar Hanegev Regional Council. 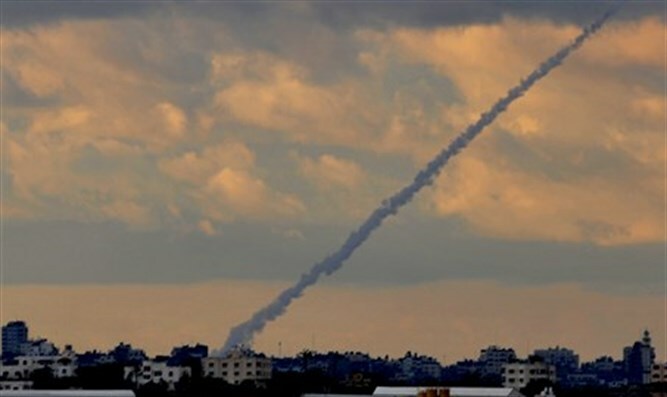 The IDF later confirmed that Gaza terrorists had fired a rocket towards the region. The rocket exploded in an open region, causing no physical injuries or damages. Friday's attack marks the second time in less than 24 hours that terrorists have fired a rocket towards communities in southern Israel. The IAF later retaliated by attacking an observation post belonging to Hamas in northern Gaza. Also on Thursday, Earlier on Thursday, four armed Arab terrorists were captured after they crossed into Israel from Hamas-ruled Gaza.